In late January, a Southwest airfare sale collided with a particularly cold, snowy day in Wisconsin. A few clicks later, and Ben and I had two tickets to Charleston, South Carolina for an impromptu warm weather mini vacation. If you plan to visit Charleston yourself (or want to procrastinate and go on a little mental vacation with me right now), I created this trip recap with recommendations for the best Charleston restaurants, activities, and a downtown hotel stay. It was warmer than Wisconsin. The city’s food scene was reportedly epic. Enough said. We left our puffy coats behind and fled south. From its Civil War history to its beautiful architecture to its FOOD, every moment (and every bite) in Charleston was more than worth the trip. 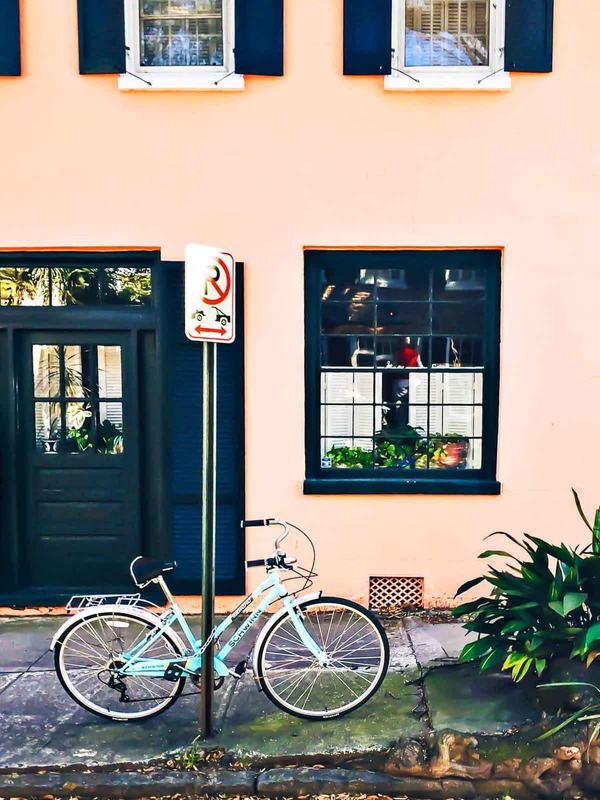 If you are looking for a lovely, accessible place to spend a few days and relaxing and grazing like royalty, Charleston is an ideal destination. Here’s a useful city guide that captures top activities, restaurants, and lodging in Charleston, S.C. I couldn’t envision a more charming hotel or a better location for your stay in Charleston than The Spectator Hotel. 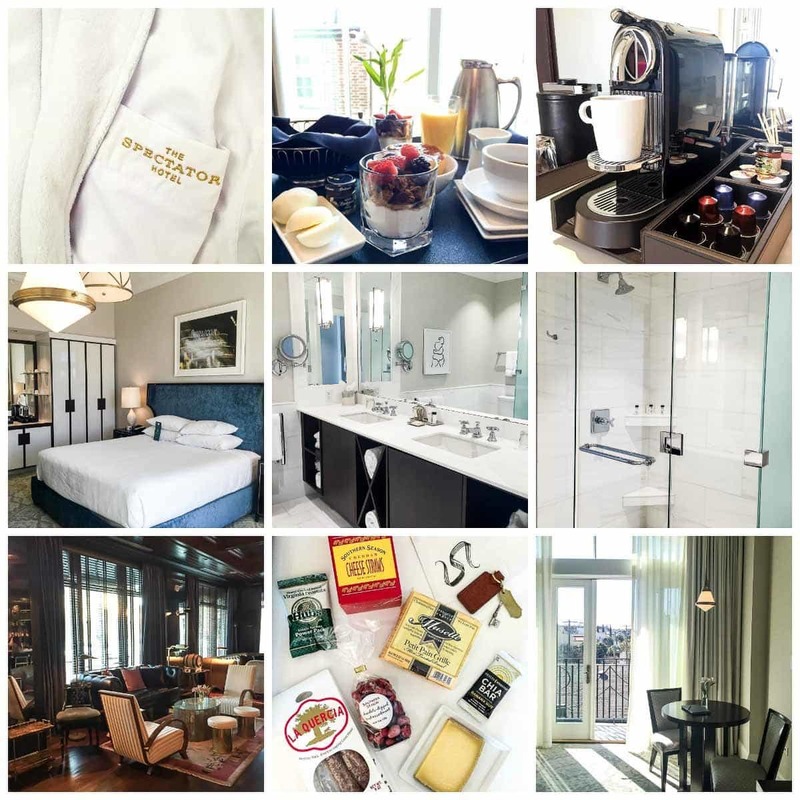 Don’t let the cool 1920s vibe or classically dressed butlers fool you—this hotel is newly built, and it has the top-of-the line amenities and modern comforts to prove it. 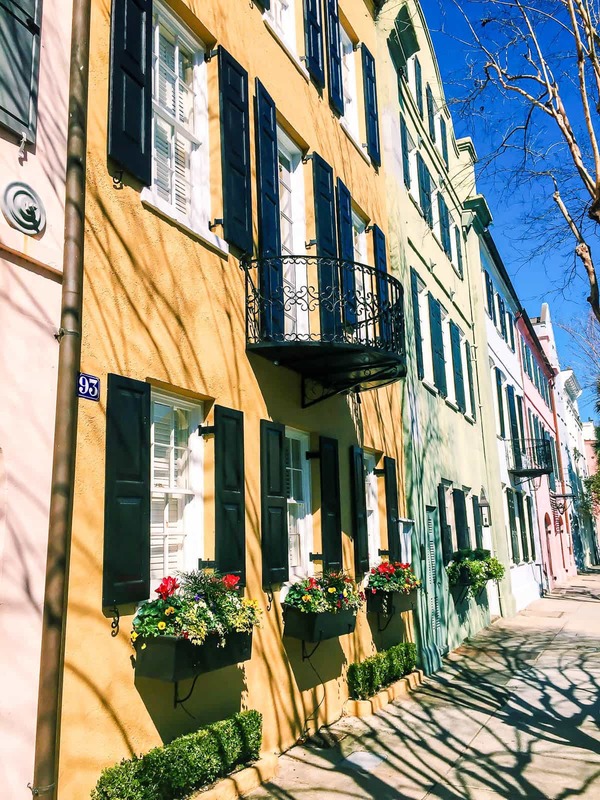 Location: In the heart of the historic district, blocks from bustling King Street, across from the city market, and within easy walking distance to just about everything you need in Charleston. I couldn’t have asked for a better address. In fact, the location was so spot-on, we didn’t need to rent a car, which turned out to be one of the best decisions of the trip—we hardly would have used it, and even if we had, parking in Charleston is categorically impossible. Rooms: Bright, airy, and plenty spacious. Some rooms even have a cute balcony where you can sit and enjoy your daily room-service breakfast (more on breakfast in the amenities section below). The bathrooms are incredible—beautiful marble, giant showers with fantastic water pressure and temperature, double sinks, and premium Kohler fixtures. I felt like I was at a spa! Freshly made breakfast delivered to your room. This is not your standard hotel continental fare—think locally made granola, fresh berries, buttery cheddar bacon biscuits, quiche, and bruleed grapefruit. Welcome cocktail. If that doesn’t say vacation I don’t know what does. For a refill, head over to the snappy hotel bar, staffed by mixologists who really know their liquor. Butler service. You’ll be personally shown to your room by one of the hotel’s butlers, all of whom are very knowledgeable about the hotel and the city of Charleston. Think of them like super concierges. A mini bar stocked with locally made gourmet snacks, available for refill upon request. Other bonuses such as free bicycle usage. 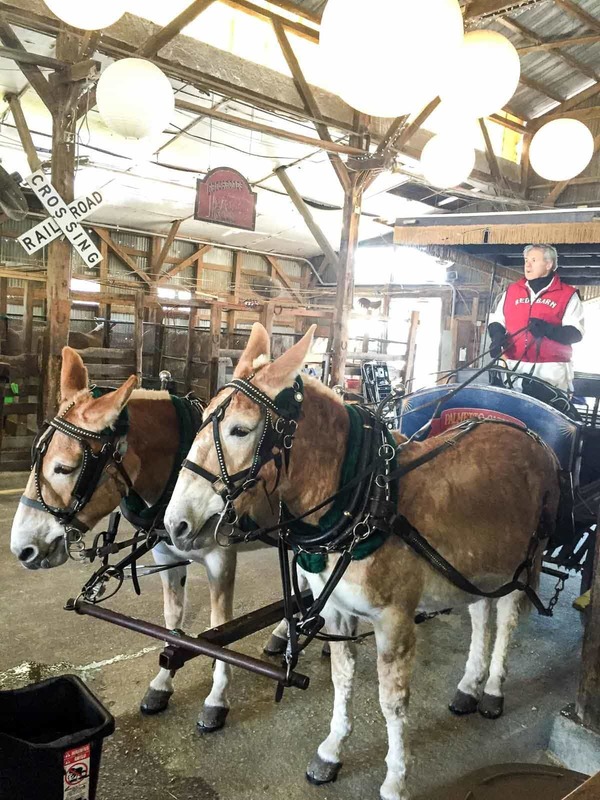 Find Your Bearings: Take a historic carriage tour. Arguably Charleston’s most touristy activity, taking a carriage tour through the historic district is also one of its best. It’s a fun, relaxing way to begin your trip, as well as a useful one. The city is fairly small, so the carriage tour allowed us to orient ourselves and prioritize the different parts of the city we wanted to spend time exploring. An intimidating number of similar companies with similar names compete for carriage tour business. We selected Palmetto Carriage Works based upon the recommendation of family friends who live outside of Charleston and were not disappointed. The hour long historic neighborhood tour felt like just the right amount of time, and I was pleasantly surprised by the amount of information that I absorbed and recalled throughout the trip. This background added color and dimension to the rest of our stay. Relive History: Tour a plantation. Aside from the carriage tour (and eating), this is the one paid Charleston activity that I would deem a “must do.” Charleston is a short driving distance from several plantations, each of which offers something unique, be it an especially grand garden or original furnishings. 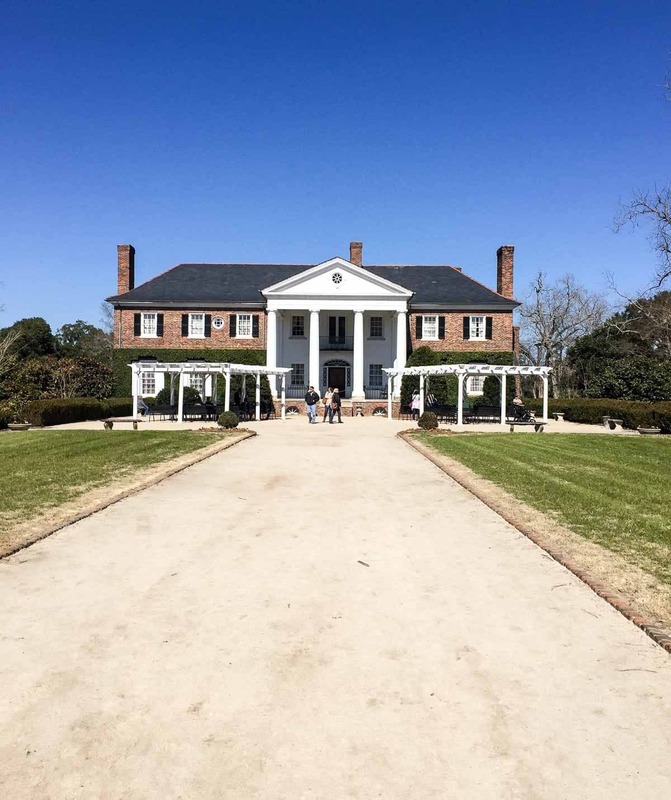 We opted to tour Boone Hall, and I cannot recommend it enthusiastically enough. Yes, Boone Hall has a Hollywood-esque plantation home to tour, but what makes this place special is its collection of original slave houses. The houses each contain small displays, videos, and artifacts that highlight a different aspect of slave life. When planning your visit, call ahead to be sure you your timing aligns with one of the daily live slave history presentations, which are given by an amazing, dynamic woman who is a descendant of a slave family. Slavery is a dark chapter in American history, but it is an important one. Visiting Boone Hall helped me to better understand how the echoes and effects of slavery continue to be felt to this day. It enriched my visit to Charleston immeasurably. Get Lost: Let yourself wander through Charleston’s historic district. One of the most attractive, charming features of Charleston is its historic homes and buildings. We spent hours wandering through the older neighborhoods, picking out our dream home (many multi-million-dollar options to choose from), admiring the colorful stucco walls and fancy ironwork, and reading the informative plaques placed on historic buildings and streets. Many companies offer paid walking tours, but the city’s important landmarks are so well-signed, you can largely create your own for free, especially if you started your trip with a carriage tour (see top recommendation above). Wander the City Market: Open daily and packed with local crafts, bites, and fun souvenir shopping. Climb Aboard a Submarine: And a destroyer. And an aircraft carrier. A single admission ticket to Patriot’s Point gives you access to three major U.S. Naval crafts. You can explore each ship at your own pace, and do your best to imagine what life was like for the crew aboard each vessel. I do wish that the ships included more historical information and excerpts of what like was like aboard. 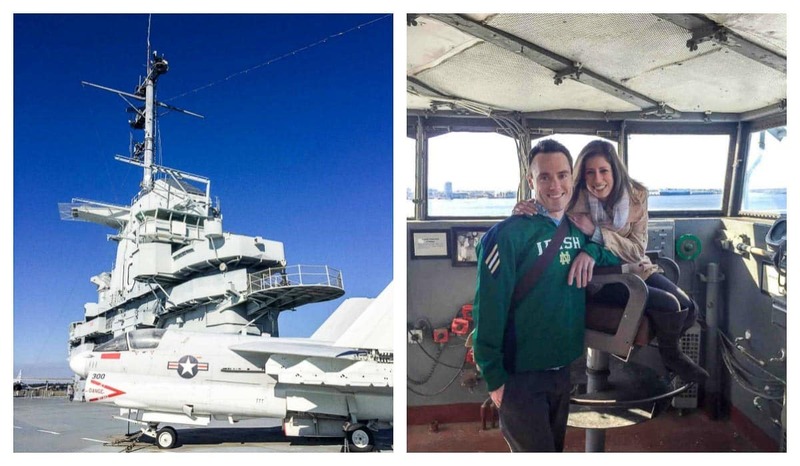 It was still a relatively worthwhile visit, but I wasn’t captivated in the same breathless way that I was when we visited the U.S.S. Midway in San Diego. For the History Buffs: Tour Ft. Sumter. The target of the first shots of the Civil War, Ft. Sumter is now largely a pile of rubble. That said, it is a very historic pile of rubble. The museum at the fort does an excellent job of explaining its role as a rallying symbol for both the north and the south during the Civil War, as well as the importance of Charleston’s harbor. Historic King Street: Get your shop (and inner decorator) on. Every shop you can imagine, but my favorite stops were the local art galleries. Ben Ham’s large-scale photography was mesmerizing. 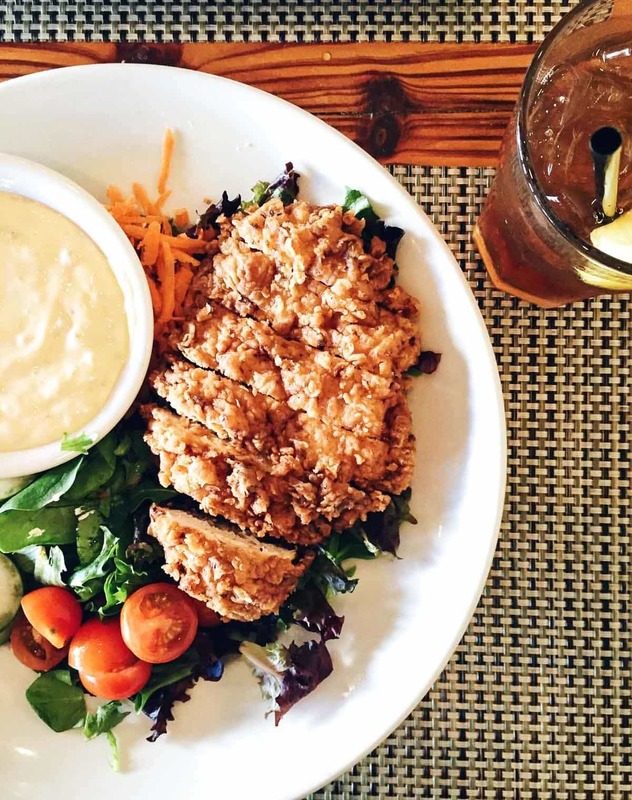 WHAT TO EAT in Charleston: a.k.a. Why You Are Probably Reading This Post. 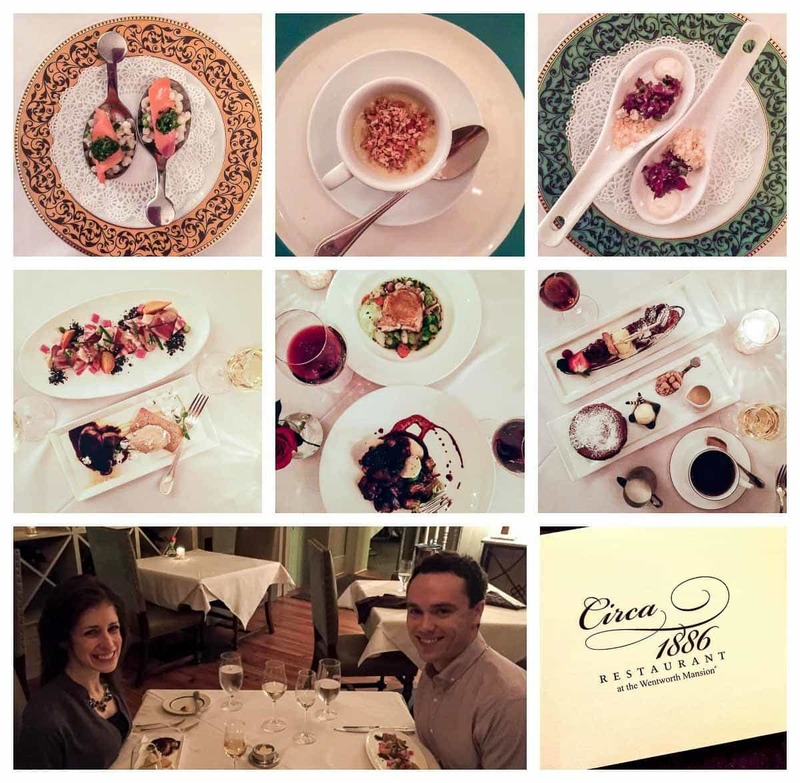 I researched our dining destinations for this trip exhaustively, visited with other foodies who had explored Charleston, and introduced myself to total strangers on the plane to gain their local perspective. Overall, I was extremely pleased with the places we picked, including the night we ate two dinners, just to make sure we squeezed in as many meals as we could. Circa 1886: If you go for one splurge meal in Charleston, make it Circa 1886. Housed in a historic mansion and captained by Chef Marc Collins (on whom I have developed a serious chef crush), Circa 1886 offers the complete dining out package: a weak-at-the-knees romantic atmosphere, impeccable service, and a selection of food and wine that ranked it among one of the best meals I have every had the pleasure to enjoy. Ben and I each ordered a three-course tasting menu with wine pairings, and as I reflect back on the meal, it is with a sweet longing to be back at that table. The dining room was cozy and peaceful, with white tablecloths, roses, and a lovely fireplace—the ideal romantic date setting. The wine was carefully selected and paired, and the food. Oh my. We trusted our server’s recommendations and were not disappointed by a single bite. Each dish started with a classic ingredient or pairing, but added a completely unique twist that went above and beyond expectation. Fois gras with savory ice cream? It works, and it will blow you away. Hot blueberry soufflé with lemon gelato and deconstructed bourbon pecan bread pudding? Two of the best desserts we’ve ever eaten. Not one but three surprise bites delivered from the chef throughout the meal, including an asparagus soup with crispy salmon skin? Just one of the surprise touches you can expect at Circa 1886. Every bite of our meal and every sip of wine spoke softly to the specialness of this experience. When I look back on Charleston, I will sigh blissfully and remember Circa. Kitchen 208: After our epic experience at Circa 1886, we had to try another of Chef Marc Collin’s Charleston restaurants, Kitchen 208. An airy, casual breakfast and lunch spot, this is the ideal place to grab a bite while you are shopping historic King Street. 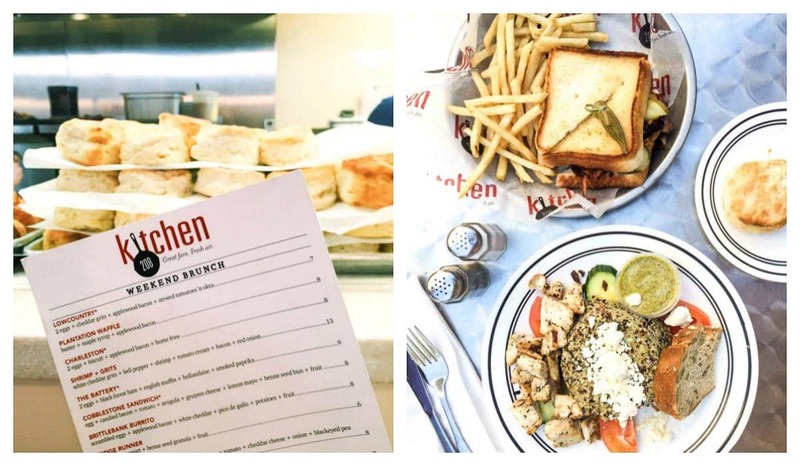 Whether you are craving something hearty (Ben raved about his brisket sandwich), something light (in need of some digestive reprieve, I opted for the zippy Mediterranean quinoa salad), or a southern classic (the biscuits were sky high and sooooo flakey), Kitchen 208 has something to offer. Stand in line to order, then enjoy your meal on the spacious outdoor patio. Poogan’s Porch: I now think about my life in two ways—life before the fried chicken at Poogan’s Porch, and life after. I didn’t even think I liked fried chicken. I was wrong. Very, very wrong. Other top bite at Poogan’s: The deep-fried pimento cheese fritters (yes, you read that correctly). S.N.O.B. : Don’t bother ordering shrimp and grits anywhere else in Charleston except for S.N.O.B. (Slightly North of Broad). It is a bold statement, but I will stand behind it. I previously considered shrimp and grits to be nothing but a vehicle for butter—not bad of course, just not remarkable. S.N.O.B. proved me wrong. With spicy sausage, country ham, tomatoes, green onions, and some kind of magic cheese, this bowl of pure comfort was popping with flavor. Confession: SNOB was Part One of our double-dinner evening. We arrived early and shared a few dishes, including the barbecue tuna, which turned out to be one of our favorite dishes of the whole trip. The Bar at Husk: Next door to the more serene, upscale Husk restaurant, the laidback and rustic Bar at Husk, is an ideal place to grab a cocktail while you wait for your dinner table (or…digest your first dinner). Fellow whiskey lovers, you will especially appreciate this establishment. 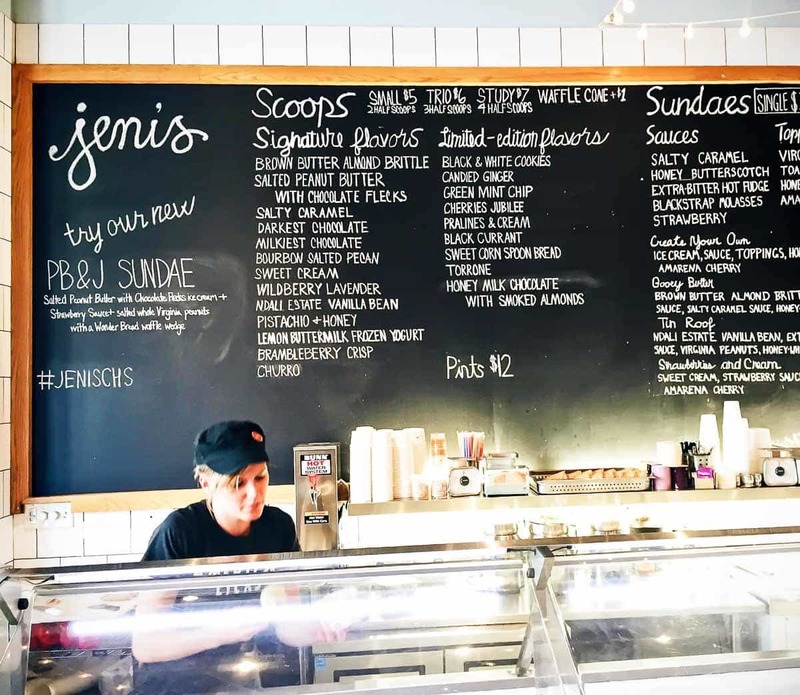 Jeni’s Splendid Ice Cream: Arguably overpriced and unquestionably worth opening your wallet. Jeni’s is most famous for the brown butter almond brittle, but my two scoops of brambleberry crisp and lemon buttermilk could not have been more perfect. Market Street Sweets: Follow your nose to the freshly made pralines and try a sample of both the classic and the chocolate (oddly, the classic was my favorite). Pick up a box to bring home with you, and buy more than you think you need—our supply was depleted before we’d even reached the airport. Although not among my top picks, these spots are worth mentioning. Amen Street Fish and Raw Bar: Oyster junkies, this is your spot. They also make an excellent she crab soup, a rich, creamy seafood bisque that is iconic to Charleston. Wash your meal down with a Bloody Mary. Trust me, this is an excellent decision. Ted’s Buterblock: Grab a sandwich and bring it with you to eat at a nearby park. The portions aren’t especially generous, so if you are extra hungry, consider picking up a few of their fresh, beautiful deli salads to complete with your meal. Peninsula Grill: We stopped into Peninsula Grill to try the legendary coconut cake (another dish you read about on every Charleston restaurant list). While it was very good, I honestly would have taken another scoop of Jeni’s or handful of pralines instead. The outdoor patio at Peninsula was beautiful and, had it been warmer outside, would have been a nice setting for dinner (though for similar prices, I’d opt to dine at Circa 1886 instead). Craftsmen Taphouse: If you are more of a beer drinker, Craftsmen offers an excellent section on tap, including many local brews, and decent bar food to go along with it. The Rooftop Bar at The Vendue Hotel: Grab a drink and check out the views of the harbor in this fun, casual atmosphere. Dinner (with wine) at Circa 1886; Shrimp and grits at S.N.O.B. ; cocktails at The Bar at Husk; Palmetto Carriage Works historic neighborhood tour; Boone Hall slavery tour; wandering the historic district. Dinner (and more drinks) at The Macintosh; additional plantation tour. Ben Ham Images on King Street. Happy travels! If you use this restaurant and activity guide during your trip to Charleston, I’d love to hear what you think. As always, all opinions shared in this post are my own and reflect my true thoughts on the different places and activities we tried. I’d like to thank Circa 1886 and Kitchen 208 for hosting us. We stayed at The Spectator for a discounted rate. Erin – thank you so much for all this information! I really liked the Not to Miss/Could have skipped section. Now I hungry for fried chicken – that looked amazing! Michele, I’m hungry for fried chicken every time I remember our meal ;-) In all seriousness, thank you so much! Funny you post this! I happen to be in Charleston right now. I thought my email had been snooping in my search history when I got an email saying you had a new post…. I was wrong! It is so beautiful here. How timely!! Have a wonderful trip. I hope you love the city! Erin, your posts are always a pleasure to read and act upon. This mini-travelogue is outstanding about Charleston. I have also had the pleasure to visit there and was charmed by the city and the eateries. You should continue to be a food and travel journalist. You do it so well. The photographs added another level of charm. Well done! Liz, this kind note made my day! Thank you so, so much. I’m glad you loved Charleston too. It’s a wonderful, special place! hey girl Glad y’all had a lot of fun! I would love to go! I just moved to Raleigh and Charleston is only a short drive away so we will definitely be using your recommendations in the near future!! Sara, I hear Raleigh is wonderful too! I hope you find these tips helpful, and if you check out any of these places in Charleston, I’d love to hear about it. I was just on the Southwest website yesterday! Charleston is on my TO VISIT list for sure! Hope to get there soon! Great post Erin! What a beautiful place to visit! I had so much fun reading and looking at your photos. My husband and I are visiting Charleston for a long weekend next month, so this was so fun (and useful!) to read. Quick question for you – we too are not planning to rent a car. 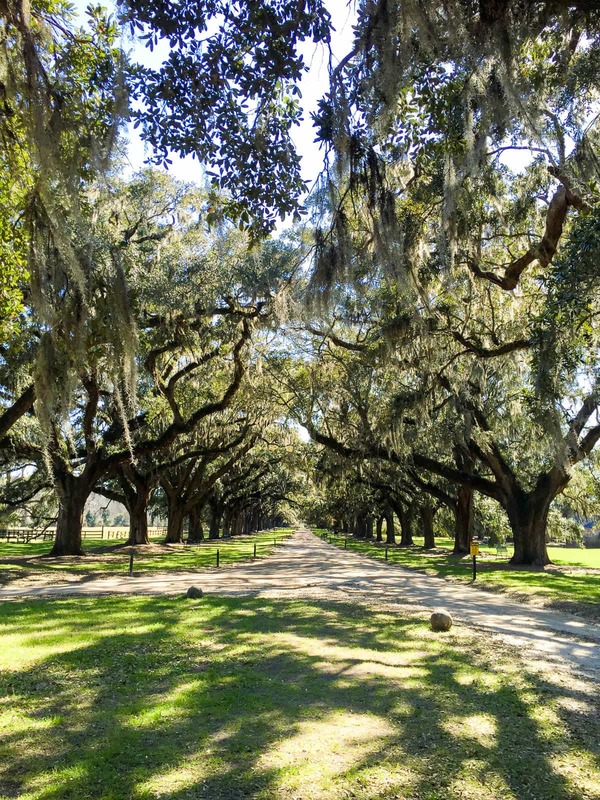 How did you get to Boone Hall Plantation? Was transport provided with the tour? Or did you take a taxi/Uber? Getting to a plantation outside of downtown was our one concern about not renting a car, but it certainly doesn’t seem worth it just for that. I’d really appreciate any insight you can provide! Great question Keely! We actually caught a ride to the plantation with family friends, but had that not been an option, I would have done Uber. That’s how we got to Patriots Point and the other destinations. Although it’s an additional cost, it’s still less expensive than renting a car for the whole weekend, and as I mentioned in the post, you definitely do not want to deal with parking in Charleston if you can avoid it! Thanks so much for your quick reply, Erin. I think we’ll just go with Uber. I appreciate your help! I’m excited to see you visited and enjoyed our city! Just randomly found your blog and I love it. Charleston native here saying you picked some great things to do and wonderful places to eat. So because of your article, my husband and I booked The Spectator for our honeymoon. It was amazing, Cody along with the other staff couldn’t have been anymore helpful. They knew it was our honeymoon and had champagne for us upon our arrival. It was amazing. Did you eat at Hall’s Chophouse? If not do this when you go back. I had a grass fed Bison filet that melted in my mouth, so good I wanted to cry. I was obnoxious and told everyone who sat near us about it!!!! Melissa, I cannot begin to express how happy this makes me to hear!! Isn’t it The Spectator a magical place? We didn’t eat at Hall’s, which means I NEEEEED to go back ASAP. I love Bison! Congrats on your wedding and thank you so much for stopping back by to let me know how your stay went. It truly means a lot! I just wanted to follow-up and let you know that we visited some of your Charleston recommendations and they did not disappoint. SNOB was fabulous. The BBQ tuna steak was so fresh and filling (and huge!) and my husband loved the shrimp and grits. Even though we were stuffed, we made room for the banana cream pie and did not regret the decision. I think I could eat the cheese fritters from Poogan’s Porch every single day (assuming they were zero calories of course). We also visited Husk, which we thought was fine. It wasn’t bad, but compared to the other meals we had that weekend, it probably wasn’t our favorite. We also enjoyed a carriage tour with Palmetto Carriage Works and visiting Boone Hall Plantation, as well as ice cream from Jeni’s. Fun fact: Jeni herself was actually on-site doing a tasting class when we visited! If you ever go back, make sure to check out Hominy Grill and order the Charleston Nasty (biscuit with fried chicken, cheddar cheese, and sausage gravy-especially now that you’re a fried chicken convert!). Also make room for a couple slices of banana bread. If we go back, Macintosh is also on our list of places to check out. Thanks so much for the stellar suggestions! As much as I love your recipes, your travel tips are also very valuable to us! They really help streamline the vacation planning process! 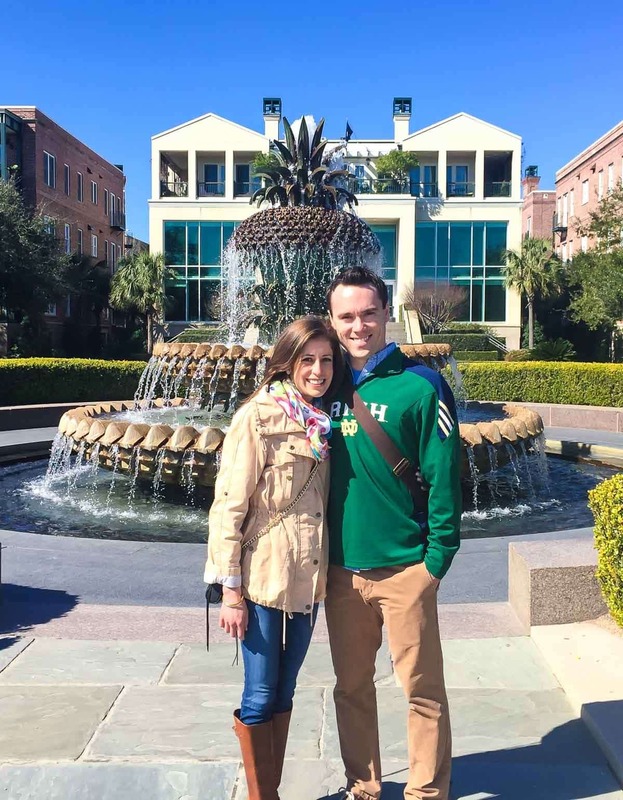 I just booked a trip to Charleston to celebrate our 2nd anniversary and am pinning your post because your tips are super helpful….can’t wait to enjoy the southern charm and all the amazing food! Lisa, you are going to have an AMAZING time! Enjoy every minute, and I’m so glad this guide is helpful! We are going in April to celebrate my birthday. We are not renting a car, but I am hoping most of the things are close to the Spectator. Were you happy with Uber service? If we need transportation that is the way we will go. We will be there 6 nights so I am going to put your restaurant reviews to the test. Not trying to be too nosy, but how much did you tip the butler every time he helped you? We are planning a trip to Charleston in June. Love the detail put into this post, it was very helpful! I am so glad Erika! Have a wonderful trip!! I WISH Lisa! It’s on my bucket list. I hope you have an amazing time in Charleston. It’s such a special place! What was the weather like in January? Thinking of going for this New Years! Lacey, we were there in Feb and it was cooler (60s) but enjoyable. I’d suggest looking online for average temps, then use that to plan. It’s such a fun city! Hi Erin, my husband and I are also from Wisconsin and we love Charleston! We were there 2 years ago in February. We couldn’t get over how good the food was!! I love Mac n cheese and had some of the best when we were there! We enjoyed the aquarium. When we were leaving we saw dolphins! The beaches are also beautiful even in February! We hit three beaches in one day! I enjoyed a cupcake on the beach on my birthday! I’m hoping to go again this upcoming year in February again. 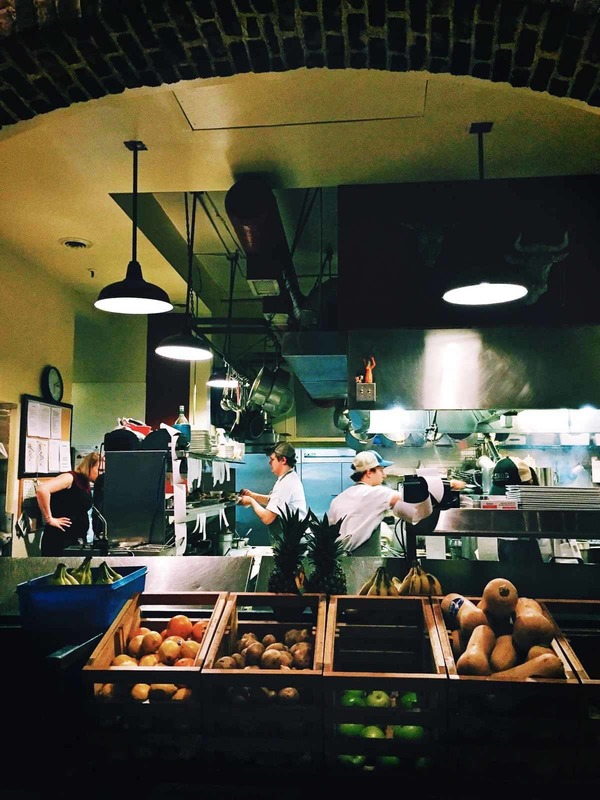 Thanks for your post on all the great places to eat and drink!! We will have to try some of them out the next time we are down there! Jessica, Charleston is just wonderful! It sounds like you had a fabulous trip, and I’m so happy for you that you get to go back. Have a wonderful time and eat some extra fried chicken at Poogan’s and shrimp ‘n grits for me! Husk is one of the most delicious dining experiences EVER! They also serve delicious Bourbin cocktails. I also must mention another dining favorite there, Magnolias. Thanks for chiming in, Nancy!